I’m listening to Pandora right now and it is really annoying that it keeps mixing Christmas songs into the regular songs. 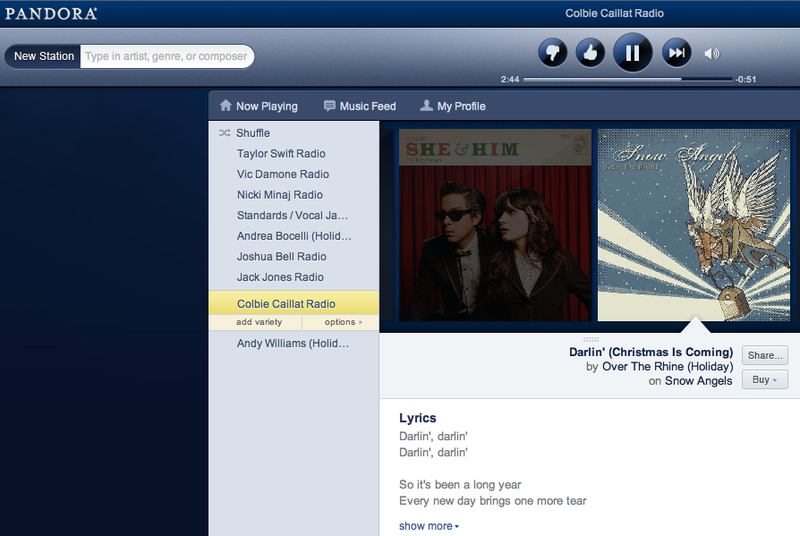 Not that I don’t love Christmas music. I do. It’s just that I don’t want to listen to it right now. I would just be as annoyed if it mixed Country music into the songs. Although, I really dislike Country music. I even try to skip the song and it gives me more Christmas songs after that. I wish there was a better way to listen to online radio. I don’t really like what they have out right now. And I don’t want to have to pay for Pandora either. Too expensive and frankly not worth it. Any suggestions? For the pandora I always have a problem with that too. Sometimes picking a specific name of a band or song will direct things towards the kind of music you want. Also click dislike so it will not put the music on when it gets so many dislikes from you.